Therapeutic Tandem Massage consists of two therapists working in unison on one client. With the therapists working together, the client receives twice as much work as a one-on-one session. There are two components of Therapeutic Tandem Massage that make up a session. The first – called ‘mirror massage’- originated in India 1000’s of years ago and requires both therapists are working in exact unison with one another, stoke by stroke. The second – ‘asynchronous’ massage – is where the two therapists work in a complementary way but are not exact mirror opposites. For example, one therapist may be at the head of the table relaxing the neck while the other therapist works on reflex points on the feet. 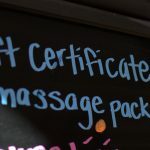 A Tandem Massage routine is a seamless dance of both mirror and asynchronous work that incorporates a variety of massage modalities such as deep tissue, stretching and reflexology with long-flowing Swedish massage strokes. The client receives twice as much work and healing benefits in the time allotted. Because of the extra sensory input, many clients find it easier to let go when receiving Tandem Massage. The Mirror Massage techniques balance both sides of the brain deeply relaxing the nervous system and creating harmony within the client’s body. To schedule a Therapeutic Tandem Massage please call us at 608-203-8550 to ensure appointment availabilities.